BERCZY, WILLIAM (born Johann Albrecht Ulrich Moll but before his arrival in North America he used Wilhelm Albert Ulrich von Moll and Albert-Guillaume Berczy; later he occasionally signed William von Moll Berczy), painter, architect, author, and colonizer; baptized 10 Dec. 1744 in Wallerstein (Federal Republic of Germany), son of Albrecht Theodor Moll and Johanna Josepha Walpurga Hefele; m. 1 Nov. 1785 Jeanne-Charlotte Allamand* of Lausanne, Switzerland, and they had two sons, William Bent* and Charles Albert*; d. 5 Feb. 1813 in New York City. Much of the early life of William Berczy, one of the more colourful characters in the history of Upper Canada, is rather obscure. The son of a prominent diplomat, he attended the Academy of Fine Arts in Vienna (Austria) in 1762 and the University of Jena (Friedrich Schiller University) in 1766. 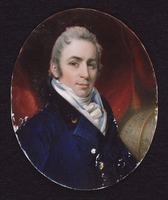 In his later life Berczy wrote accounts of his education and youthful travels, but it is difficult to determine to what degree the stories of his adventures are factual since he had a tendency to add fictional touches. If one of his writings is taken at face value, while on a diplomatic mission to Poland in the 1760s he had to hide in a Turkish harem and was captured by a Hungarian bandit. It may have been at this time that his nickname, Bertie, became Bertzie (in Hungarian, Berczy). This was to be the name by which he was known in Upper and Lower Canada. In the 1770s Berczy, now earning his living as a merchant and perhaps as a painter as well, moved back and forth between cities in northern Germany, Poland, Hungary, and Croatia. Towards the end of the decade he broke all ties with his family and moved to Florence (Italy) where he assumed a new identity, that of Albert-Guillaume Berczy, painter of miniatures. One can only presume that financial difficulties or some problem with his quick temper required this break with the past. 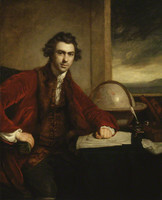 Although still travelling frequently, he remained based in Florence until about 1790, when he and his wife took up residence in London, England. There he continued his career as a painter, displaying some of his works in the Royal Academy of Arts, and at the same time he made the connections that eventually resulted in his move to Upper Canada. In 1791 the Genesee Association, a group of British speculators who were trying to develop a large tract of land in western New York, hired Berczy to advertise this land in Europe and recruit peasants who, as assisted immigrants, would make the area prosperous and therefore attractive to investors. Using Hamburg (Federal Republic of Germany) as his headquarters, Berczy enlisted over 200 immigrants, principally from northern Germany, despite the hostility of local officials. He himself agreed to act in an advisory capacity to the new settlement, and in May 1792 the first contingent of colonists, with Berczy and his family among them, sailed for America. The group soon discovered that the reality of the scheme was far removed from the proposals made to them in Europe. After reaching Philadelphia, Pa, in July, the settlers spent the next few months cutting a road from Northumberland County, Pa, to the Genesee country, a distance of about 100 miles. When they arrived at the site of the settlement, near present-day Canaseraga, N.Y., Charles Williamson, the local agent of the Genesee Association, refused to provide the land and supplies promised. Berczy, who was borrowing money to help the colonists, became embroiled in a lengthy struggle with Williamson for control of the settlement. He saw himself as protector and mentor of all those whom he had brought out. Although he never lost sight of his own interests, he sacrificed much over the next few years in defence of this group. In 1794 Berczy travelled to New York City to seek aid from the German Society of New York. While there he assisted in the formation of a new association, known as the German Company, devoted to obtaining and developing land in Upper Canada. 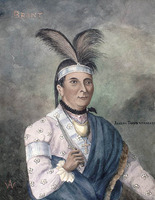 This group of men, which included Samuel Street, New York–Bremen merchants, and some prominent Republican politicians, purchased three townships in Upper Canada, two of which adjoined the Iroquois reserve on the Grand River. Hoping to obtain more land by grant, Berczy and others journeyed to Newark (Niagara-on-the-Lake), where in April 1794 they petitioned for one million acres on the north shore of Lake Erie. The settlers for this vast tract of land would consist of Berczy’s colonists in the Genesee country and others brought from Germany. The company intended to spend $60,000 and to settle at least 800 people in its first five years. The Executive Council, anxious to attract settlers to Upper Canada, did not grant the one million acres requested but made a generous offer none the less: on 17 May it awarded Berczy and his partners 64,000 acres west of the Grand River and a promise of more when this land was settled. Berczy returned to the American side and supervised the exodus of his settlers to Upper Canada. With the help of men hired by Street and some Indians from the Grand River reserve, the majority of settlers were spirited past the guards Williamson had put everywhere to stop such an event. After a long journey, they reached the colony in late June. 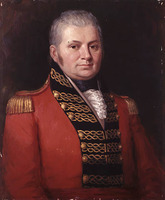 In discussions between Berczy and Lieutenant Governor Simcoe, who was anxious to develop the site of his temporary capital, York (Toronto), Berczy was offered a larger grant if he would move his settlement eastwards. Berczy agreed to this proposal and by the end of the year the colonists had established themselves on their new lands in Markham Township. Berczy’s settlers were of considerable use to Simcoe. In keeping with his desire to develop the province as quickly as possible, the lieutenant governor offered Berczy a contract to finish building Yonge Street north from the York area to Lake Simcoe within one year. Work on this project commenced in late September 1794, just after the Queen’s Rangers, the men responsible for beginning construction of the road, had withdrawn to garrison duty. In the next few months the settlers cleared Yonge Street as far as the Holland River while at the same time working on a road into their Markham settlement and on mills, stores, and storehouses. In the end, however, Berczy was unable to complete Yonge Street within the year, partly because of the excessive number of projects on which his men were engaged but also because of a shortage of supplies and mounting expenses. During 1795 Berczy was hard pressed to meet the needs of his settlers, and by February 1796 he was complaining that “many of his associates are almost starving. . . . The situation became so desperate in the winter of 1795–96 that one-third of the Markham settlement moved to Newark. Berczy’s grand scheme now began to crumble. His American associates were reluctant to increase their investment in Markham Township without some prospect of an early return, and so he continued to borrow money and supplies, as he had done in New York. To compound his problems, in May 1796 Simcoe issued a proclamation declaring forfeit the lands of all township proprietors who had failed to meet their settlement obligations. 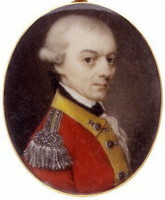 Peter Russell, the administrator of the colony after Simcoe’s departure, suggested a compromise which gave the proprietors 1, 200 acres each and confirmed the 200-acre grants of the settlers they had brought into the province. Although this plan was rejected by Berczy and several other proprietors, it was adopted by the Executive Council in July 1797. At this point Berczy, convinced he had lived up to the terms of the original agreement, began the process of appeal to the British government that was to occupy the remainder of his life. Prominent men supported Berczy’s cause. 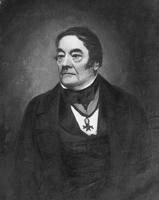 Governor Robert Prescott put his case before the Home Department as one deserving sympathetic attention because of Berczy’s efforts at colonization. When Berczy visited London in 1799 to plead his case personally, Sir Joseph Banks and Alexander Davison, former legislative councillor in the province of Quebec, used their influence in his favour. 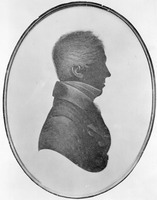 Regrettably for Berczy, however, the decison of the British government was to compensate him only if the Executive Council in Upper Canada agreed. 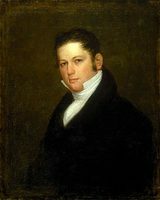 The Executive Council, and in particular Chief Justice William Osgoode*, had opposed any compensation from the beginning, believing Berczy to be one of a legion of land speculators who had appeared from the United States. Its opinion was not changed by the ruling of the home authorities, and as a result no compensation was forthcoming. While devoting as much of his effort as possible to seeking justice, Berczy also had to deal with his creditors. Besides his own debts, there were those he had contracted in order to provide for his settlers. Considering these obligations a debt of honour, he worked the rest of his life to discharge them and did pay off a significant amount, but not without spending a term in debtors’ prison after his arrival in London in 1799. As far as the Markham settlement was concerned, Berczy’s financial problems had serious consequences. Since he considered himself almost as the settlers’ father, he was reluctant to press them for repayment of the money they owed him. After 1802, however, he had no choice but to begin court actions against some of the more prosperous. The ill feeling generated by this move marked the end of Berczy’s career as a colonizer. To satisfy his creditors, who included Samuel Heron, John Gray*, and William Willcocks, Berczy was ultimately forced to dispose of all his lands, mills, and other assets in the York area. From 1805 he lived in Montreal, where his landlord was the painter Louis Dulongpré*, and in Quebec. 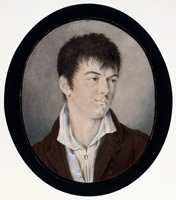 In order to pursue his cause in London once again, Berczy went to New York City just before the outbreak of the War of 1812 with the object of appealing for financial help from the surviving members of the German Company. 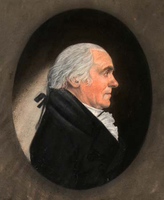 Two of his old supporters, Timothy Green and former vice-president Aaron Burr, provided a $10,000 credit, but because of the war he was unable to go on to England. In poor health even before he left Canada, Berczy died in New York on 5 Feb. 1813, and was buried in an unmarked grave, a sad end to the years of struggle. In 1818 his son William Bent submitted a petition to the Executive Council of Upper Canada requesting compensation for his father’s losses in the province and was granted 2,400 acres as a final settlement. Despite the great difficulties Berczy experienced after 1796, these last years of his life had many compensations. Men of importance in York, Montreal, and Quebec befriended him, and artistically this was probably his greatest period. Indeed it could be argued that Berczy’s work in art, literature, and architecture rivals his accomplishments as a colonizer. 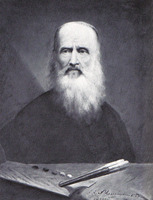 Berczy left behind numerous unpublished manuscripts on historical and literary subjects. Contemporary opinion was highly favourable about his topographical study of the Canadas, the final draft of which disappeared at his death. Some authorities, then and now, have claimed that Joseph Bouchette* plagiarized this manuscript in his A topographical description of the province of Lower Canada . . . (London,1815) – a claim, however, that seems to be without foundation. In architecture, Berczy’s crowning achievement was the winning of a competition in 1803 for the design of Christ Church, Montreal; a sketch of this building shows a derivative architectural style, but one that was well executed. As a painter, Berczy mixed styles in his secular and religious works, but generally he showed the influence of the neo-classicism popular at the time. 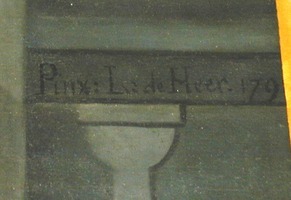 On the whole, his works are uneven, ranging from paintings of excellence to many second-rate miniatures, which he did in order to earn a living and to pay his debts. 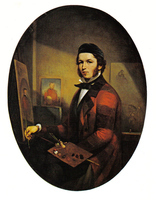 Two of his best-known paintings are portraits, one of Joseph Brant [Thayendanegea], circa 1800, and one of Isaac Brock; but his undoubted masterpiece is the Woolsey family portrait, a magnificent piece described by the art historian Dennis Reid as “one of the few exceptional Canadian paintings of the first half of the century.” In his own time Berczy was recognized as one of the finest painters in the Canadas, and his work still stands up well beside that of many Canadian painters who came after him, including Joseph Légaré*, Antoine Plamondon*, and Théophile Hamel*. 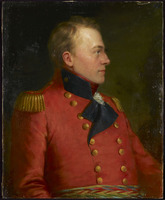 Berczy’s colonization efforts were not nearly as successful as he had hoped, and his assistance to Simcoe in the development of Upper Canada was of a modest nature. Nevertheless, his career was not without achievement. 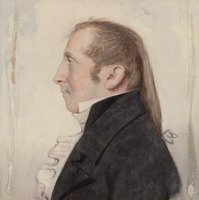 His Markham Township colony compares favourably with the expensive settlements established in Upper Canada by the British government three decades later [see Sir Francis Cockburn*; Peter Robinson*], and his paintings are a significant accomplishment in 19th-century Canadian art. If Berczy had set himself less ambitious personal goals, perhaps he would not have appeared so unsuccessful. Yet had he done so, he would not have achieved as much as he did. [The major sources of information on the life of William Berczy are the two volumes by John Andre: William Berczy and Infant Toronto as Simcoe’s folly (Toronto, 1971). Both books are well documented and demonstrate a mastery of the material, but are hampered by poor organization and a peculiar writing style. John Andre retains copies of many European documents used in his works. A manuscript biography of Berczy by Helen I. Cowan at the MTL complements Andre’s studies. Cowan’s notes on references, though a bit difficult to follow, are an excellent source of additional material. Copies of some of the documents used are included with the manuscript. Ronald J. Stagg, “BERCZY, WILLIAM,” in Dictionary of Canadian Biography, vol. 5, University of Toronto/Université Laval, 2003–, accessed April 21, 2019, http://www.biographi.ca/en/bio/berczy_william_5E.html.